The philosophy of Taste Bar is, "Good food and good drinks should be simple, fresh and satisfying." 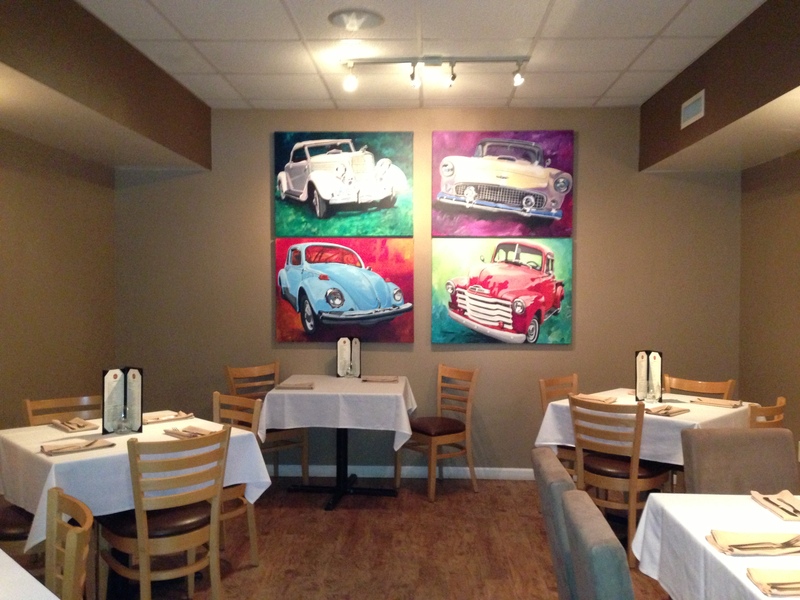 Justin, Maranda and Ryan Riek took over the original Taste in late Feb. 2013 and have made some amazing changes. This family-owned restaurant is going back to the basics by using simple ingredients while putting their own spin on traditional menu items. Not only has Taste Bar made some exciting changes to their menu, but the restaurant also has fresh paint and new plating, tables and chairs. The back room at Taste Bar is suitable for families and larger parties, while the front of the restaurant is closer to the bar and has high top tables and chairs. No matter what you prefer, there is a place for everyone to dine at Taste Bar. I had the wonderful opportunity to dine with Ryan one evening on the patio at Taste Bar. The patio was small and cozy with beautiful flowers surrounding us. Taste Bar&apos;s patio is also dog friendly, which means I&apos;ll be bringing my furry friend next time I come for drinks and dinner. 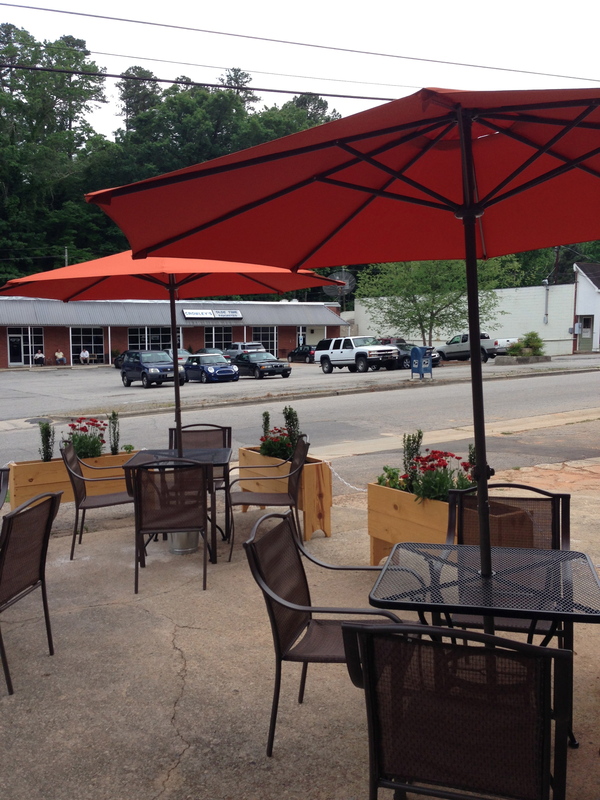 The patio is currently in the process of being expanded, just in time for those warm summer nights! Ryan&apos;s focus is on the daily operations of Taste Bar and ensuring the menu is pleasing to the diners. Ryan knows a thing or two about the restaurant industry and began washing dishes for $3 an hour when he was 13. He&apos;s spent time managing bars and restaurants since he was 21 years old. Ryan&apos;s dream is to revolutionize the food industry with his "morsel" style menu. Ryan explained to me that "morsels" are bigger than appetizers and smaller than an entree. Ryan created the original menu and then hired Executive Chef Ruben Concha, a graduate of Le Cordon Bleu in San Francisco. Taste Bar gets the majority of their food and beverage locally to be considerate of their community and the environment. 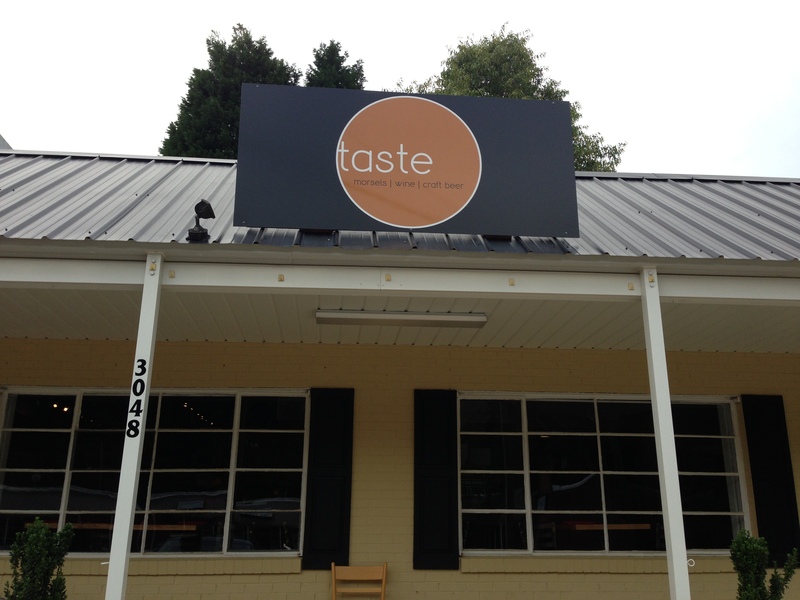 Taste Bar focuses on the neighborhood in which the restaurant is located. During my evening with Ryan he greeted every diner by name and welcomed new visitors. I felt right at home especially when Jimmy, a regular at Taste Bar suggested I order The Beltline Sliders. Jimmy told me the first time he ate the sliders he had to call his wife, they were just that good! I definitely agree with Jimmy. Taste Bar has taken your traditional slider and turned it into something even better. The sliders use chopped angus beef and are served with caramelized onions, aged white cheddar cheese and Dijon mustard. My favorite part about the slider is the mini pretzel bun, a unique spin on your typical slider. I&apos;m a huge fan of seafood. One of the morsels on Taste Bar&apos;s menu is the Seared-Pistachio Crusted Ahi Tuna. Thinly sliced tuna is served on a bed of arugula with a wasabi aioli for dipping. The tuna was extremely fresh with a brilliant, fresh pink color. The pistachios were a creative addition to the tuna, adding a nice texture and flavor to the dish. I thought the dish was also plated beautifully. Since we&apos;re talking about beautiful plating, the next dish absolutely blew me away! Taste Bar&apos;s Fresh Caprese Salad is phenomenal and extremely fresh. 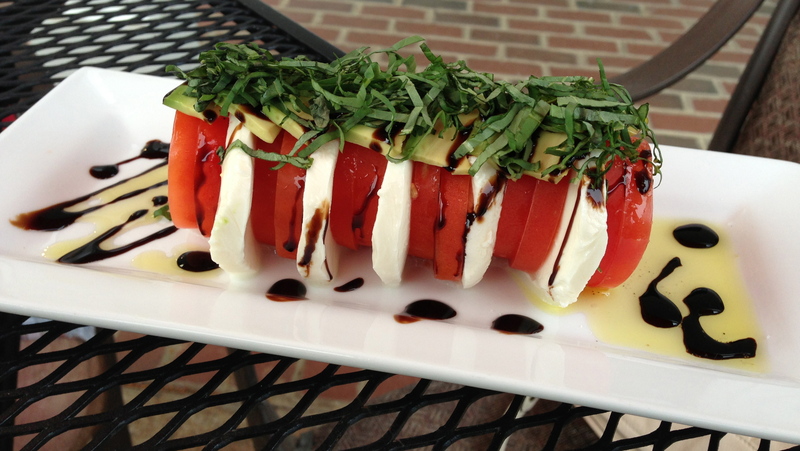 The salad almost reminds me of a sushi roll, with alternating layers of juicy Roma tomatoes and mozzarella cheese topped with avocado, fresh basil and a balsamic reduction drizzle. The avocado is a unique addition to the classic caprese salad, adding a rich buttery flavor and texture to the dish. There&apos;s no wonder Ryan says this is one of the most popular and most photographed dishes at the restaurant. One of the other morsels I tried on Taste Bar&apos;s menu was the flatbread. The chef designs a new flatbread each day, which keeps the menu interesting for the regulars at Taste Bar. The flatbread consisted of a basil pesto base topped with mozzarella cheese, tomatoes and fresh basil. The chef also switches the daily vegetable dish to provide a menu offering to vegetarians or vegans. Ryan explained that this menu item is a "vegetable of the day on steroids." Taste Bar always adds some thing different to their daily vegetable dish to make it hearty and delicious. The dish often includes seasonal and local ingredients. 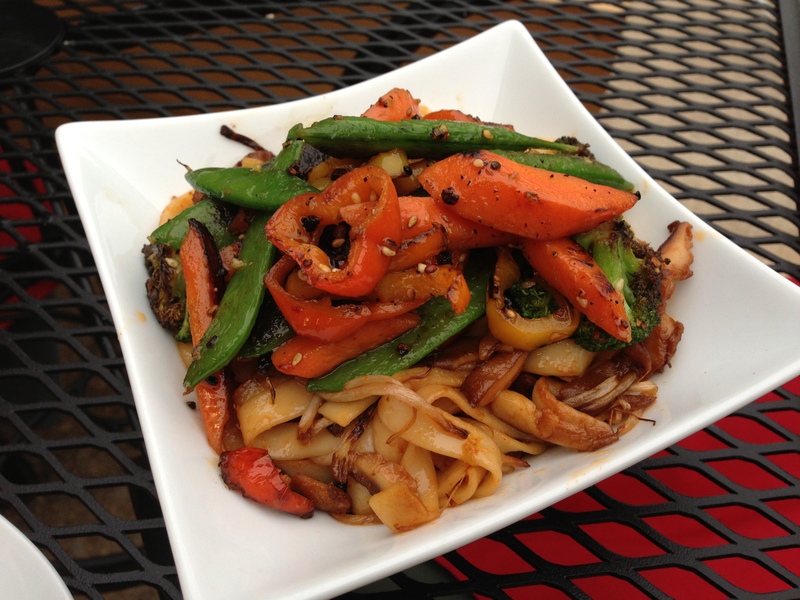 The daily vegetable dish when I was dining at Taste Bar included lo mein noodles, carrots, broccoli, sugar snap peas, sweet peppers and shiitake mushrooms. One the specials of the evening was a watermelon mint gazpacho with crème fraiche and fresh mint on top. Strawberries were at the peak of their season when I was dining with Ryan at Taste Bar. 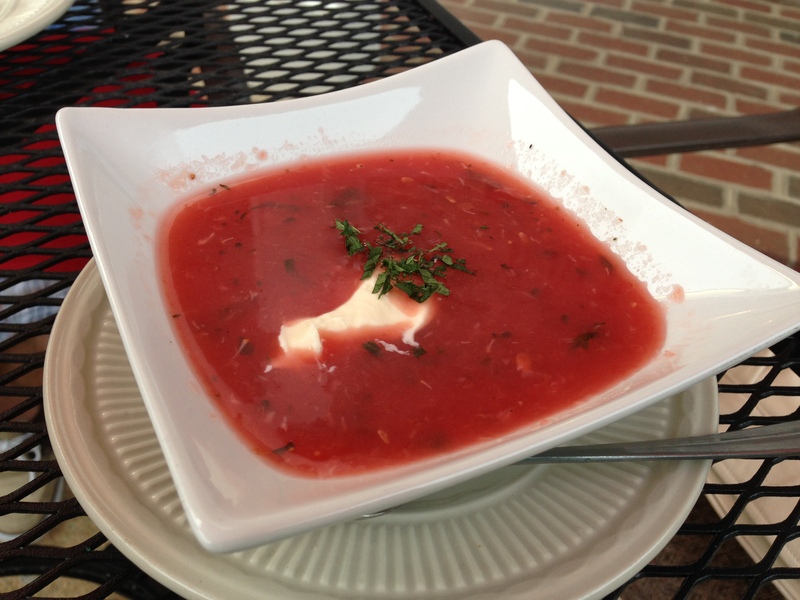 The chef also blended fresh strawberries into the gazpacho. The fresh and sweet fruit flavors were amazing and I could have eaten this for dessert. Not only is the food amazing at Taste Bar, but the drinks will certainly quench your thirst. The Taste Cucumber Mint Martini is Taste Bar&apos;s most popular signature cocktail. 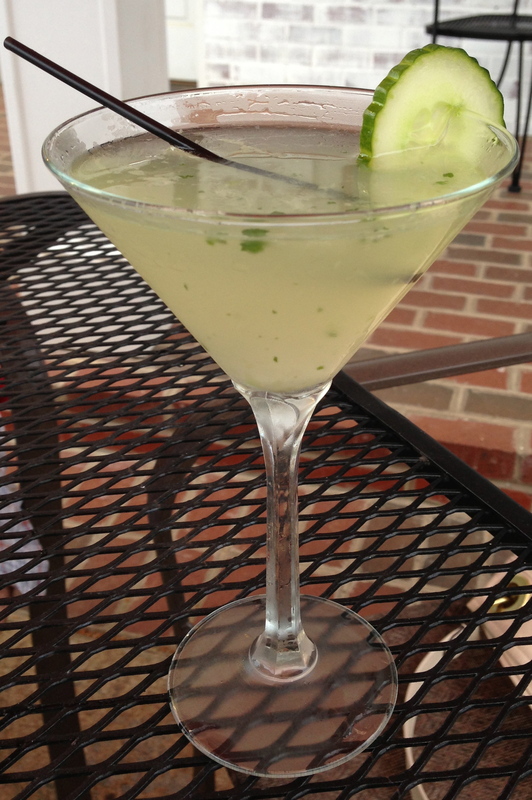 The martini includes Hendricks Gin, St. Germain, fresh cucumber and mint. I will definitely be coming back to sit on the patio while enjoying one of these fabulous drinks! The best part about Taste Bar&apos;s drink menu is the daily specials. Taste Bar offers handcrafted drinks for excellent prices. For instance, mojitos are on special on Thursdays. 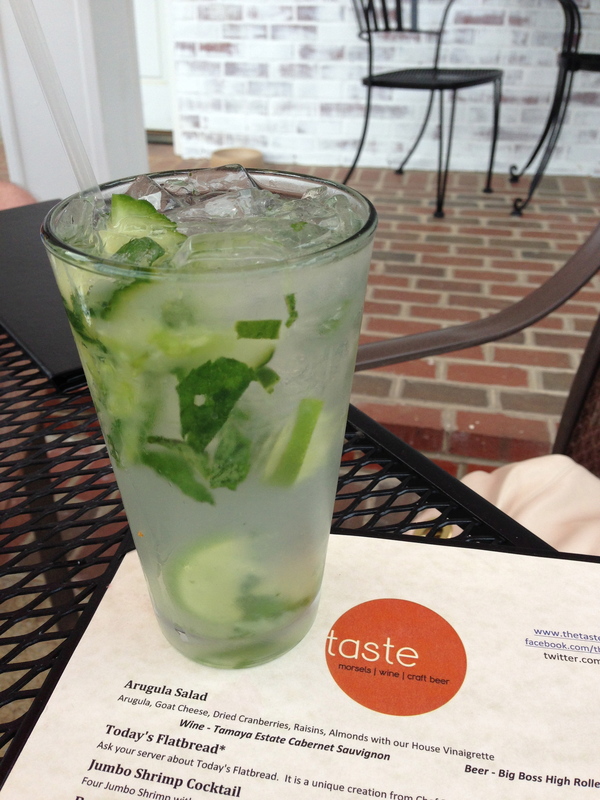 Taste Bar takes the classic mojito but adds a twist. My cucumber mojito was made with orange rum, which was a delicious and refreshing drink. Follow Taste Bar on Twitter to find out their exclusive drink specials. Definitely consider paying Taste Bar a visit. You&apos;ll feel at home in this cozy and classy atmosphere. Triangle Restaurant Week is also June 3-9, 2013. Taste Bar is participating and has a phenomenal menu planned. What a perfect opportunity to try out Taste Bar!